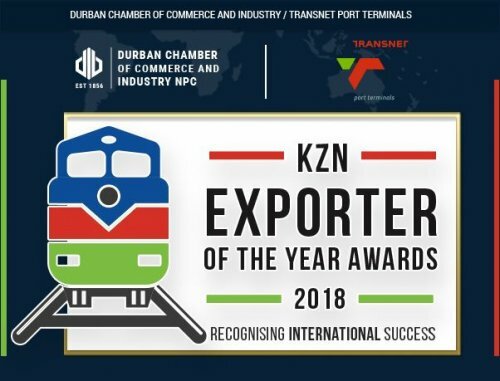 The partnership between the Durban Chamber of Commerce and Industry and Transnet Port Terminals continues to grow as we will again host the 2018 KwaZulu-Natal (KZN) Exporter of the Year Awards Banquet. Now in its 18th year, the event has grown progressively since its inception in 2000. These awards aim to recognise and celebrate exporters in this province, to highlight the success of local businesses as well as to stimulate the growth of our economy by encouraging other business to strive for similar achievements. The awards are a showcase for emerging and established exporters of a wide range of goods and services. 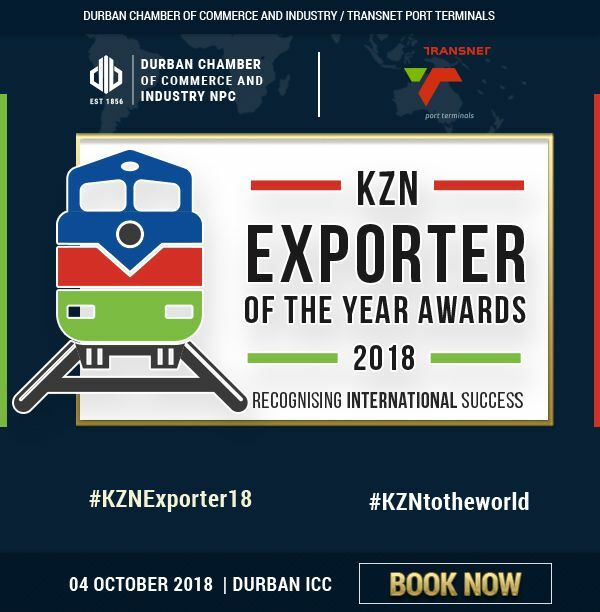 The award winners will be announced at the 2018 KZN Exporter of the Year Awards Gala Dinner hosted on Thursday, 04 October 2018. Join us as we celebrate individuals and companies that are putting KZN on the international map. Inkosi Albert Luthuli International Convention Centre, Arena, 45 Bram Fischer Rd, Durban. For further information and early bookings contact Sharmala Pillay - 031 335 1000.